“The houses out here are incredible.” The Waitress in Theresa Rebeck’s The Way of the World is in awe of her surroundings, but how did that feeling of glamour get created on the Folger stage? 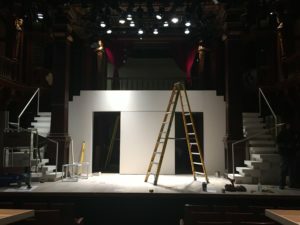 We spoke to scenic designer Alexander Dodge to find out what it was like turning our Elizabethan-styled theater into a chic playground that can be a Hamptons summer home, chic boutique, restaurant, and art gallery simultaneously. 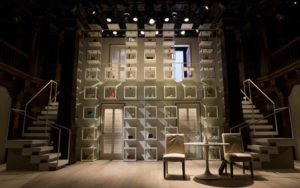 What sort of conversations did you have with Theresa Rebeck (playwright/director) when approaching The Way of the World, and what were the things you were hoping to convey in your design? Being familiar with the original play was a great way to access Theresa’s adaptation. Years ago I had seen a wonderful production of The Way of the World at the National Theatre while I was a college student studying abroad in London. Our version clearly captures the essence and spirit of the original. However it very much embraces “the now.” Even if one doesn’t know anything about the original, one will enjoy this production. In fact, it is almost better if one doesn’t reference Congreve’s original as Theresa’s version is an incredibly funny, smart, and stinging piece of comedy. The theater at the Folger is an intimate playing space with some unusual quirks. How did that influence your design? The space of the Folger is a challenge. It has a wonderful personality that can’t be ignored. Certainly in the case of a new play like this that brings up several questions of how to proceed. With the aesthetic of it fully in my mind, we worked towards a look for this production that focused on just what we needed. The design, though contemporary in look, is very classical in its structure. There are four door entrances laid out symmetrically. There is an “inner above” or upper playing space. 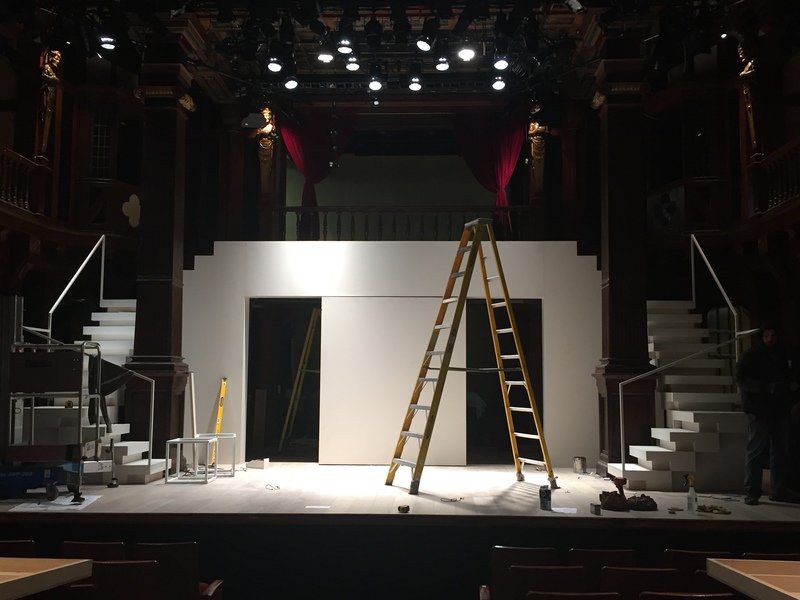 The staircases on either side of the set literally embrace the Elizabethan wood columns of the space. It is a very practical, functional playing space. 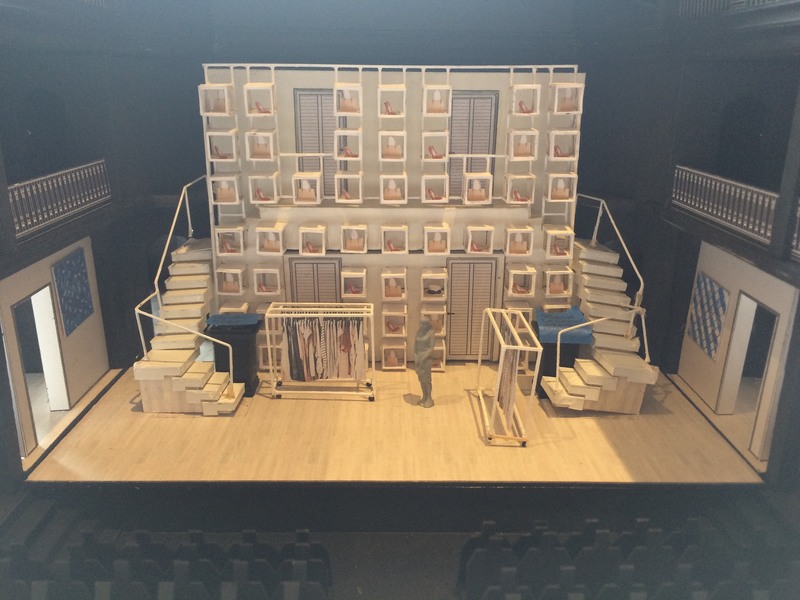 What themes within the play spoke to you as you conceived the set? The theme of materialism is probably the most central to the design. It’s certainly the main idea I ran with. Consumerism and the “idle” classes were also key. The wall of display boxes came out of this. They worked as a metaphor but also in many scenes as part of the actual location, i.e a boudoir, a high-end boutique, several bedrooms and an art gallery. 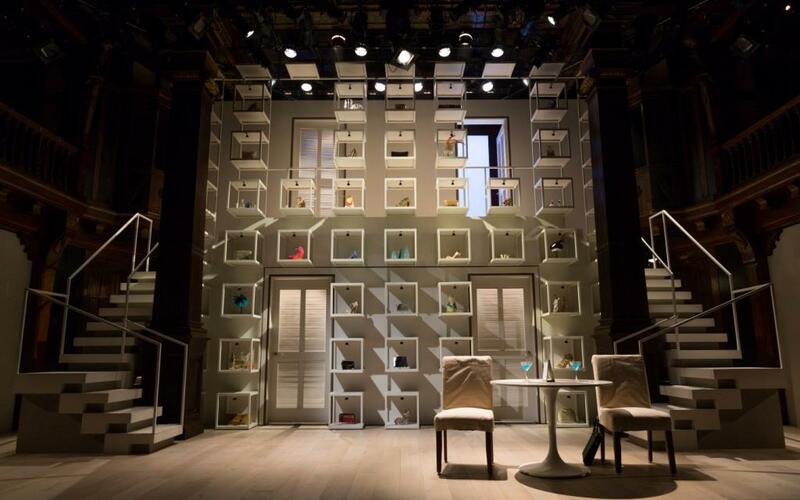 How did the play’s Hamptons setting influence your design? Consumerism, materialism, high society, nouveau riche are all terms synonymous with the Hamptons, but of course so are beach and the sea. Though we never actually see the latter two, having them both suggested in the set is very important. The white walls, bleached wood plank floors and louvered doors all help to suggest a breezy summer location. Henry (Luigi Sottile), Mae (Eliza Huberth), Reg (Elan Zafir), and Charles (Brandon Espinoza). The Way of the World, 2018. Photo: Teresa Wood. Katrina (Erica Dorfler) and Mae (Eliza Huberth). The Way of the World, 2018. Photo: Teresa Wood. Reg (Elan Zafir), Katrina (Erica Dorfler), Rene (Kristine Nielsen), and Mae (Eliza Huberth). The Way of the World, 2018. Photo: Teresa Wood. When approaching a play, do you tend to have a clear sense of how it will be used in performance, or do you prefer to create a design that lends itself to experimentation? 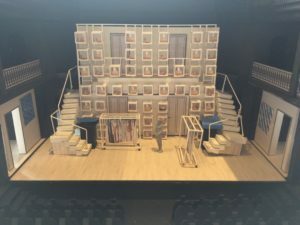 Set model for The Way of the World. Alexander Dodge. I would say both. And it really depends on the specific production. The fact that The Way of the World takes place in a great number of locations one is required creating a set that seamlessly transitions the audience from one place to another. After I had a sense of the general look of the show with all of the display boxes, it came time to look at what we would need in the scenes themselves. Then how we would move fluidly from one scene to the next. Some of the solutions I came up with during the design process, but many others evolved out of the rehearsal process. In this case there was a frame work to hold the show. But knowing that I was working with the playwright and director, things were able to change and adjust as needed as the production developed. Thanks to Alexander for speaking with us! 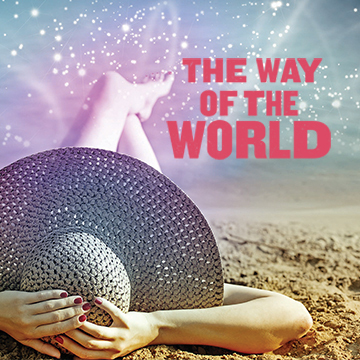 Hurry if you’d like to see his chic world come to life in Folger Theatre’s The Way of the World, which closes this Sunday. For tickets and more information, visit us online or call the Folger Box Office at 202.544.7077.